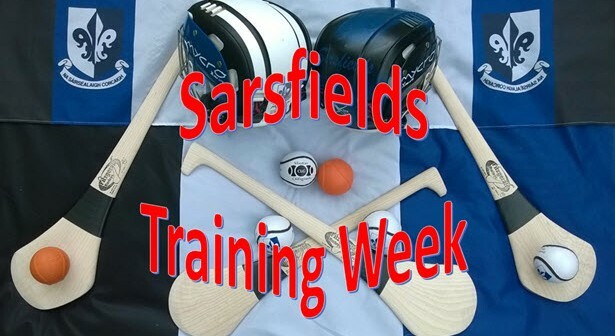 Sarsfields Juvenile Hurling Club will hold their 10th Annual Training Week for registered players from the U6 to U12 teams beginning on Wednesday July 1st until Saturday July 4th. This provide boys with an action-packed and fun-filled week of hurling activity at the start of their summer holidays and will help them develop a love for the game. So now is you chance to register online to secure a place as space is limited to 130. Registration day will be notified later for those wishing to pay by cash/cheque at the Sarsfields Clubhouse.